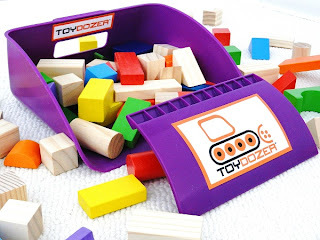 host of a fun Toydozer give-away for this brand new product. looking for a solution to the dreaded little toy clean up. 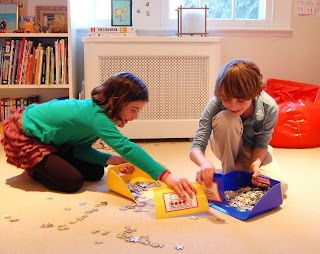 into a fun playtime activity too. and the "Scoop" is just like the big scoop of a bulldozer. to use for both little and bigger helping hands. The applications and uses are as endless as any child's imagination. Here at grandma's house I have moved all of the little "gillion" piece toys out of reach to only be brought down when my energy level is up to the dreaded clean up time. 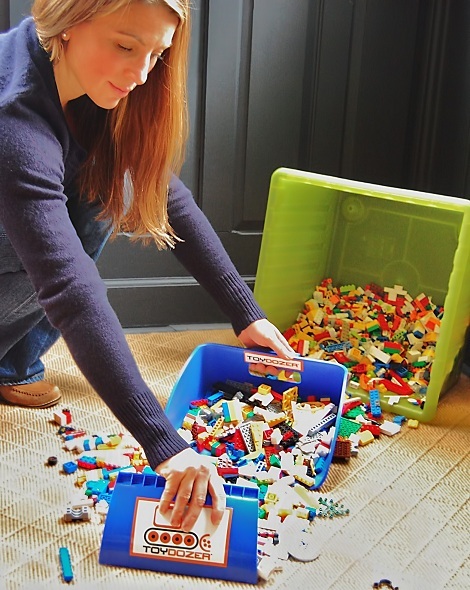 Now my blocks, Legos, matchbox cars, cowboys and indians, barbie clothes and accessories, farm and jungle animals, marbles and more can all be moved down and stored right next to our new Toydozer. The Toydozer would be a great addition to any home. It would also make a great gift for kids, moms, your babysitter, your child's teacher, and grandmas. The Toydozer retails for $18.99 and it is available exclusively at toydozer.com . Use the code: BLOGGER20 for an awesome 20% discount. It ships free anywhere in the United States and Canada. For more information on the Toydozer you can check out their website , Facebook page, or Twitter. 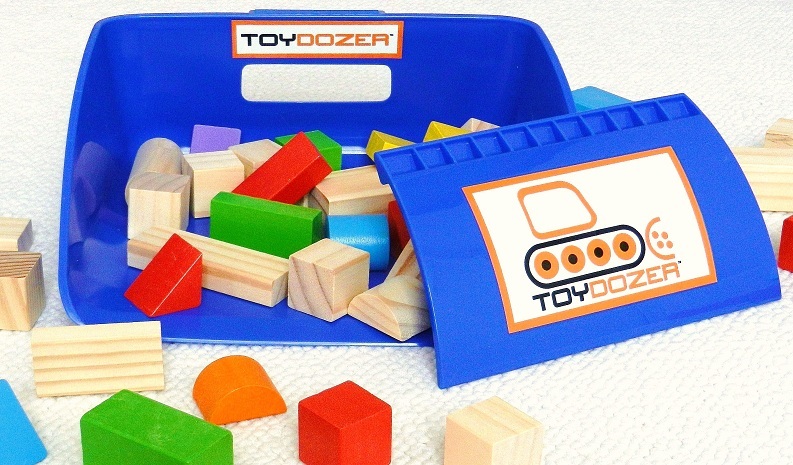 For a chance to win your very own Toydozer just leave a comment on this post. Make sure that I have a way to contact you (you can send me your email address (grandmashelley@grandmaslittlepearls.com) if you are the lucky randomly drawn winner! The give-away will end on Sunday, April 15th. This give-away is only available in the United States and Canada. Good luck! 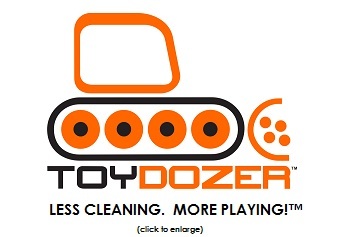 This post is part of a Toydozer blogger outreach campaign. Participating bloggers have been provided with a complimentaryToydozer to review and have been compensated for their time. What a fantastic idea! I think I'll get one for everyone of my children's families! I love this concept for "dozing" up the blocks (or in the case of my sweet little 2 year old grandson, cars!!!) I am enjoying your blog. I, too, feel that being a "Nana" is just the best time of my life! What a fun idea! Whenever I tell my boys to pretend they are tractors to help put the laundry away, it definitely helps. I think they would love this. That would be soooo amazing to have with all my kids and their toys. Haha. Hope I can win this. You Win! Congratulations, I hope you and your kids enjoy the ToyDozer! This item would be wonderful to have at my own "Three Little Cousins Day Care"....what I call my house on the frequent occasions I babysit for my 1 year old grand daughter and twin 3 year old grand sons.....I love your blog, too! This sounds like something I could use when my grandkids come to visit this summer. My grandsons dump their bins of toys out and don't like to pick them up. This would be great for them. My little one would think this is the neatest thing and he wouldn't even know he's cleaning up! Very cleaver. Thanks for sharing. What a clever toy/tool! I would love to win this for my stash of toys here at "Grandma's house" too! Thanks!! wendykc at hotmail dot com. I thought I was the only one who put hid the toys with small pieces! Actually, I used to hide them. Now the grandkids just know that they have to ask before they get out certain toys.